Lazy days off work require off duty outfits like this one right here. 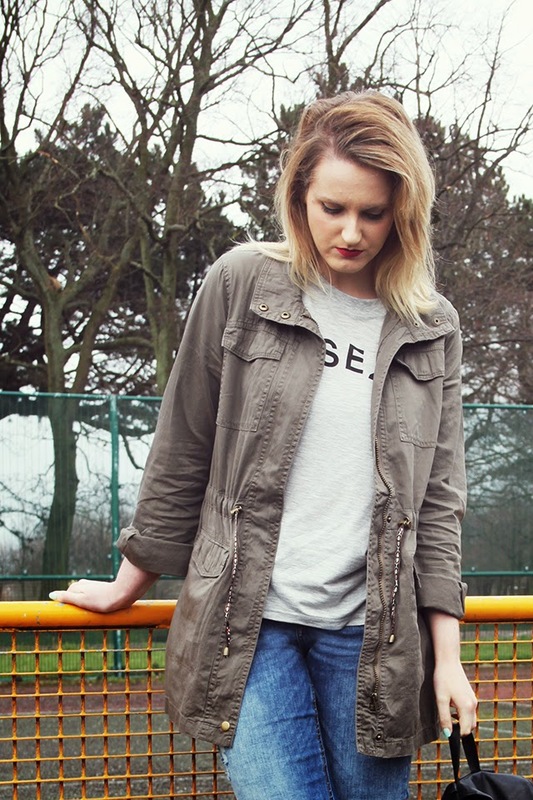 Ripped up jeans and slogan tees make the perfect relaxed look, paired with boots and a classic parka, like my Vera Moda khaki number from Get The Label. 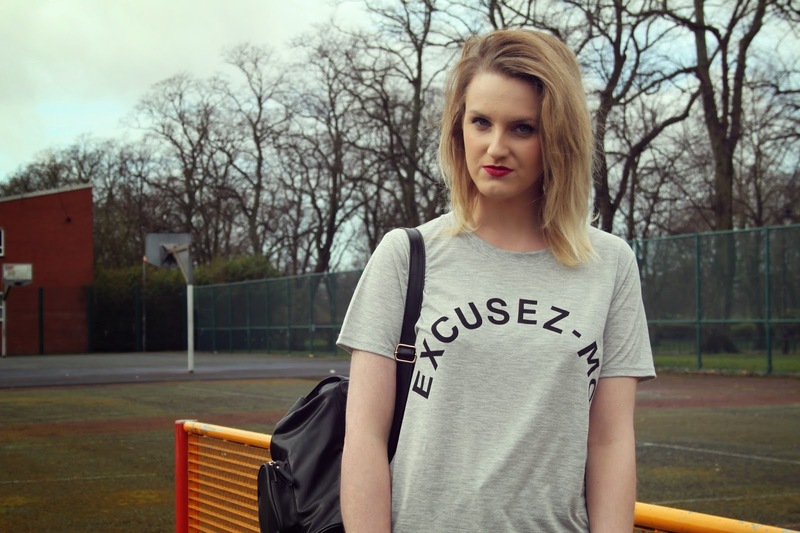 My excusez-moi tee was a bit of an impulse buy whilst we were in York, but as soon as I saw it I just had to have it! It’s from Whistles and is hands down the softest T shirt I’ve owned. 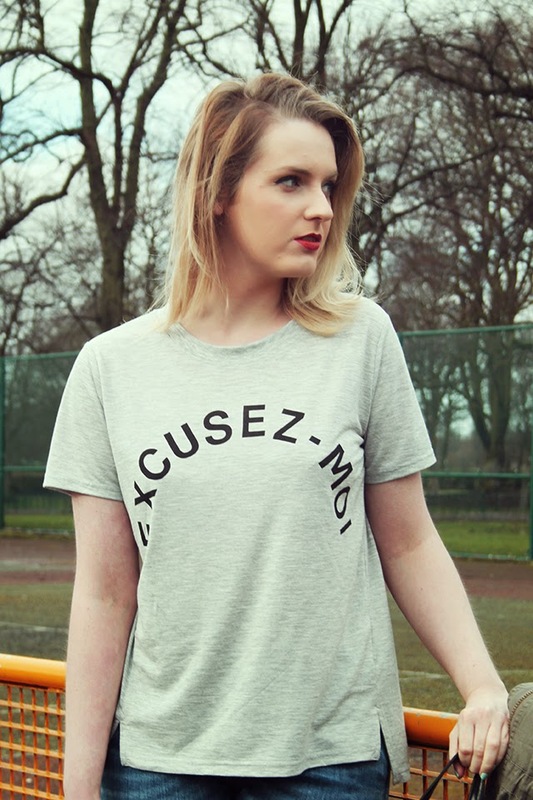 I love the simple slogan print, plus it’s grey, my favourite colour to wear at the moment! I’m absolutely in love with the jacket, and can’t wait for the weather to warm up a little then I can throw it over pretty floral dresses for a relaxed, festival inspired vibe. It’s such an easy piece to wear, and the length is just right on me. I like how it’s really light weight so it will work well for all seasons, layered over knit wear in Winter, and over camisoles, dresses and tees in Spring/Summer. Finally, please excuse my hair in these photos, I seemed to get a little windswept in between shots and it seemed to have a life of it’s own! If you follow me on social media (links in the top left!) you’ll have seen me sharing some hair inspiration at the weekend. I have such fine hair that I would love to be long and glossy, but the reality is that when it gets past my shoulders the tips go extremely think and the whole look is very flat and lifeless. I’ve found myself looking back at photos of when I had a bob, and it looked so much healthier, so I’ve decided when my appointment comes round next month to take the plunge and go for the chop! Is it normal to shop for new clothes just because you’re getting a hair cut (High neck tops will look so good, right?)? I think it might be. 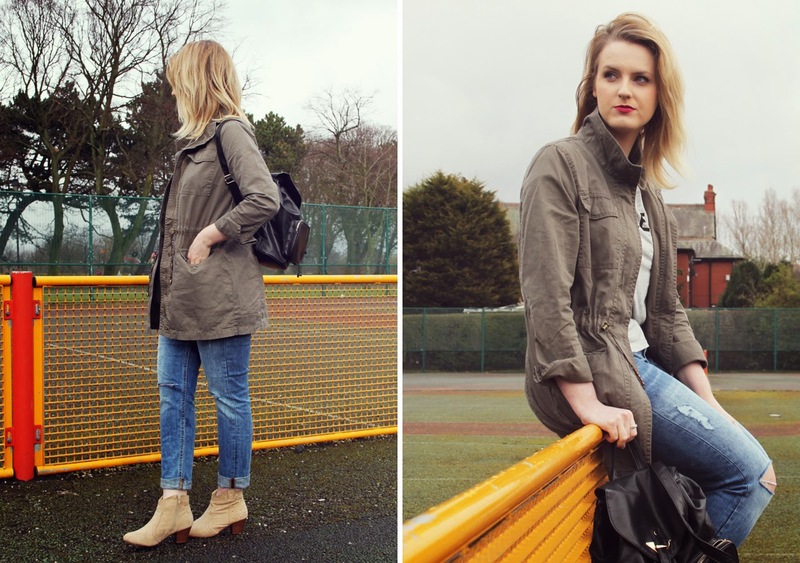 How do you style your look on off duty days? Are there any hairstyles you’re loving at the minute. Fancy a change like me? Love the witty T shirt and that shade of lippy. 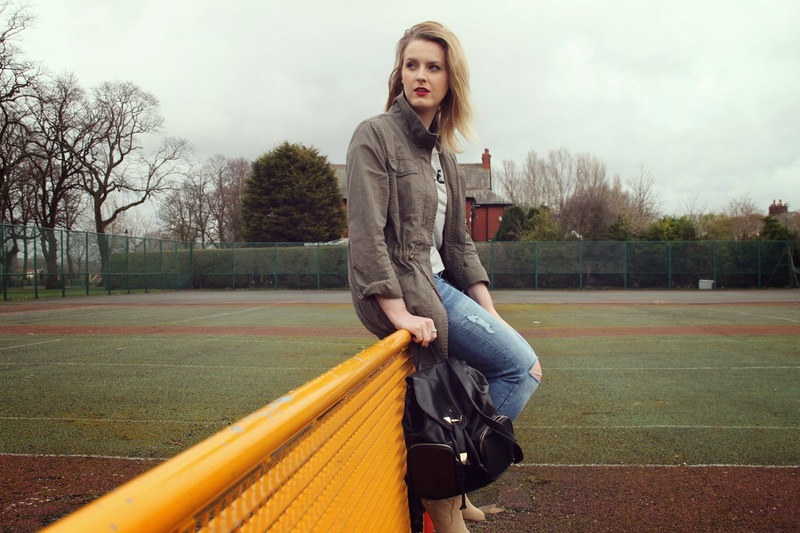 Digging the sporty feel this look has!